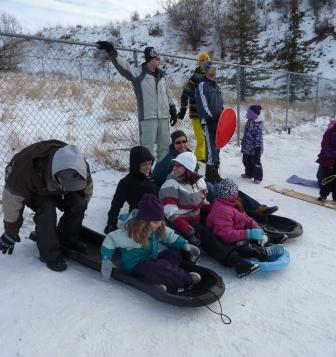 I’ve attempted to get out and enjoy winter with the family this year. 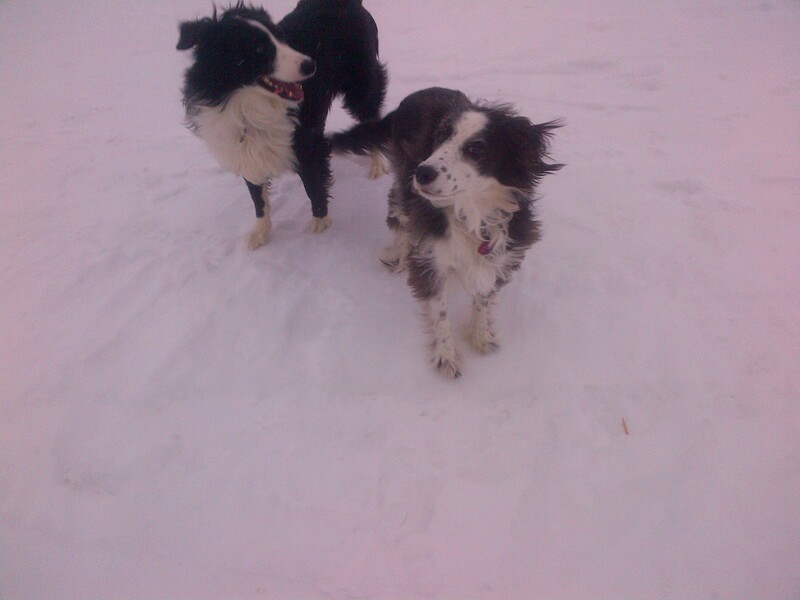 Walking the dogs in the cold and wind is getting a little old. I hate winter. There I said it. I’ve tried to like it, and each fall as crisp cool air starts to replace the hot summer days I vow that this will be the year that I ski more, that I learn to snowmobile, that I will “hurry hard” with the best of them, that I will fly down a hill on a toboggan giggling like a child, that I will head out onto a frozen lake and try a little ice fishing. This will be the year that I will learn to embrace the frozen surfaces that cover my beloved southwest Saskatchewan for at least a third or more of the year… instead of despise them. Even if I have made a concerted effort to get out and about and frolic in frigid temperatures, this is the month where I feel the pull of summer. This is the month where I long for my trailer and lakes warmed by the sun. The month where I can’t wait to walk the dogs without stumbling on icy patches of snow, and where I think of all the things I could be doing instead of all the things I should be doing. This is the month where I usually, officially, snap. This is the month where despair that spring will ever come usually sets in. Thank goodness there’s someone out there that understands these feelings that I can’t tamp down any longer. Someone that knows I’m literally going stir crazy waiting for spring/summer to appear. Someone that’s willing to sing the blues right alongside me. Well actually a chorus of someones. The fabulous acts and blues artists brought in for the annual Stir Crazy Blues Festival. Get out of your house! Make the winter blues go away! StirCrazy Blues Festival concerts are at the Lyric Theatre. The Steve Strongman Band will be out in full Stir Crazy force. Held this year from February 28th to March 2nd, not only does it give me an opportunity to get out of the house, (which for a work-from-home writer is huge), but it also allows me to reconnect with music that speaks to my soul. A fact I discovered when I attended my first Stir Crazy Blues Festival in 2011 and heard Brother Yusef for the first time. One of the best musicians I’ve heard yet (next to Great Big Sea), for lifting my spirits and raising me from feeling frustrated and just generally fed up that winter is still here. Lucky for me, I was able to purchase one of his CD’s to keep that feeling alive until spring finally did arrive. Lesson learned, now each year, I head to the Stir Crazy Blues Festivals as a way of shedding my own stir craziness, and frustration with winter. This year I’m excited to hear the “raw passionate sounds” that The Steve Strongman Band, The Harpoonist & the Axe Murderer (??? ), and Shakura S’Aida will be bringing to the stage. “It’s about overcoming hard luck,” says Kopp, “saying what you feel, ridding yourself of frustration, letting your hair down, and simply having fun.” (Sounds good to me!) For me, it’s also about not letting the winter and the cold that has descended upon us since early November, beat my spirit up or lessen my hope that spring is just around the corner. So, if you’re like me and feeling a little “stir crazy” with winter’s presence and you’re ready to shake it off, head down to the Stir Crazy Blues Festival and feel some “unbridled joy!” Ding dong, the Winter Witch will soon be dead! How to GoHere: Located at the Lyric Theatre, in downtown Swift Current, at 227 Central Ave N., you can “Go” to the Stir Crazy Blues Festival by either purchasing a Festival Pass for all three shows for $60, or purchasing individual tickets for shows at $25 each. 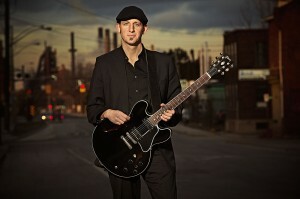 Visit them online at: http://www.blendersmusic.ca/stir-crazy-blues-festival/ for more information. Thursday February 28th, The Steve Strongman Band: This bands was the 2011 Maple Blues Award winner for Guitar Player of the Year and nominated for six 2012 Maple Blues Awards. 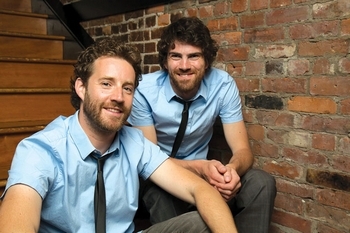 Friday March 1st, The Harpoonist & The Axe Murderer: You might want to go just to see who would have such a strange name. A mix of The Black Keys and The White Stripes in a bluesy sorta way. Saturday March 2nd, Shakura S’Aida: Nominated for five 2012 Maple Blues Awards, she possesses a soulful voice, enthusiastic personality and commitment to her deep soul music. As of today it’s only 100 days till the official start of summer in Canada – the May Long Weekend and camping season! Elizabeth one of the “founding fathers” of GoHere is a photographer and all around visually talented girl – we used a free wordpress layout and then she chose all her own colours and design. Hope that answers your question – make sure to share your blog address with us so we can check it out! Hi – I attempted to respond to this via my phone – but it doesn’t look like it went through! So sorry for the delay! This was a WordPress Template using the theme “Chateau” that we modified with our own colours and header thanks to the talents of Elizabeth Huber. Please share the link to your blog when you’ve got it up and running – and thanks for stopping by! you’re actually a excellent webmaster. The site loading pace is amazing. It seems that you are doing any distinctive trick. In addition, The contents are masterwork. you’ve performed a magnificent activity in this matter!